Ziegenbalg was born in Pulsnitz, Saxony, on 10 July 1682 to poor but devout Christian parents: Bartholomäus Ziegenbalg Sr. (1640–1694), a grain merchant, and Maria née Brückner (1646–1692). Through his father he was related to the sculptor Ernst Friedrich August Rietschel, and through his mother's side to the philosopher Johann Gottlieb Fichte. He showed an aptitude for music at an early age. He studied at the University of Halle under the teaching of August Hermann Francke, then the center of Pietistic Lutheranism. Under the patronage of King Frederick IV of Denmark, Ziegenbalg, along with his fellow student, Heinrich Plütschau, became the first Protestant missionaries to India. They arrived at the Danish colony of Tranquebar on 9 July 1706. A church of the Syrian tradition was probably born in South India as far back in history as the third century, at least. KP Kesava Menon, in his forward to Christianity in India (Prakam, 1972), described a church typical of that tradition as "Hindu in culture, Christian in religion, and oriental in worship." Robinson laments the failure of the further forward moment of this potential dialogue between the two religions. He notes that even such supportive sympathisers of the European missionary’s endorsement of Hinduism as Roberto de Nobili and Ziegenbalg, despite their enthusiasm for this foreign faith, could never shake their conviction of the superiority of their own faith. The propagation of the Gospel, despite Danish zeal, remained inchoate till at the dawn of the eighteenth century. Frederick IV of Denmark, under the influence of Dr. A. H. Francke, (1663–1727), a professor of divinity in the University of Halle (in Saxony), proposed that one of the professor’s eminently skilled and religiously enthusiastic pupils, Bartholomäus Ziegenbalg, be appointed to kindle in "the heathen at Tranquebar" the desired holy spark. "Though the piety and zeal of Protestants had often excited an anxious desire to propagate the pure and reformed faith of the gospel in heathen countries, it establishment and defence against the Polish adversaries at home, together with the want of suitable opportunities and facilities for so great a work, combined during the first century after the Reformation, to prevent them from making any direct or vigorous efforts for this purpose." Ziegenbalg brought Lutheranism and a printing-press to Tanjore court by ship. But what were the Danes already doing there? After an abortive excursion to Sri Lanka, where there was no room left to be conquered and seized, they made their way to Tranquebar circa 1620. Ove Gjedde who, in 1618, had commandeered the expedition to Lanka, initiated a treaty with the king of Tanjore to rent an area no more than "five miles by three in extent", resulting in the setting up of a fort, which still stands, though the Danes relinquished control of Tranquebar in 1845 to the British. Printing and India found each other serendipitously. In 1556, a Portuguese ship bound for Abyssinia stopped in Goa to obtain provisions; the ship carried a printing press and 14 Jesuits, one of whom was Joao De Bustamante, the "Indian Gutenberg". The clergy in Goa hungered for the printing press far more vehemently than their counterparts in Abyssinia and, ultimately, the press was unloaded in Goa, and Bustamante stayed to set up the press at the College of St. Paul, a seminary that still exists. The arrival of the first press in Goa was rejoiced at by St. Francis Xavier who had been preaching the gospel in Goa and in Tranquebar since 1542. Then inexplicably, and, significantly, all the presses died out in India. Tamil printing seems to have stopped after 1612. Records show that the last books in Latin and Portuguese were printed in Goa in 1674. 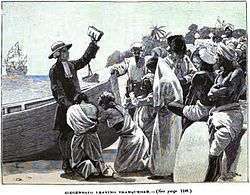 Ziegenbalg responded to the King of Denmark’s request for the bequest of a Christian mission to spread the vision of the Gospel in India, and, in 1706, Ziegenbalg and colleague Heinrich Plütschau reached the region of Tranquebar, thus becoming the first Protestant missionaries to arrive on the Indian sub-continent and began their revisionary project. The two established the Danish-Halle Mission. The two laboured intensively, despite opposition from the local Hindu and Danish authorities in Tranquebar, baptizing their first Indian converts on 12 May 1707. Education has always been an integral component of missionary work. And Ziegenbalg recognized from the start the imperative of learning the local languages in the progress of their mission. Stephen Neill notes this curious serendipity: "The original plan was that Ziegenbalg should concentrate on Portuguese and Plütschau on Tamil. For no explicit reason, but to the great advantage of the work, this arrangement was changed, and mastery of Tamil became the primary objective of Ziegenbalg. He had little to help him. No grammar was available. The Jesuits in the sixteenth century had printed a number of books in Tamil, but the work had been discontinued, and the Lutheran missionaries seem never even to have heard that such printed books existed." Ziegenbalg possibly spent more time picking up the local tongue than in preaching incomprehensibly and in vain to a folk who would then call him insane. He went on to write in 1709, "I choose such books as I should wish to imitate both in speaking and writing ... Their tongue ...(now) is as easy to me as my mother tongue, and in the last two years I have been enabled to write several books in Tamil..."
In the views of some Ziegenbalg was practising a well-intentioned form of cultural imperialism. But due to the circumstances in which European culture was established and promoted, in the midst of indigenous, alien people, the bridge estranging the cultural differences (amid Christianity and other cultures, the will to power promoted by a multiplicity of western nation-states, and also the friction between the fractions of the umbrageous faction of Christianity) posed many obstacles. This resistance circles our consideration back to the conflicting attitudes of the missionaries and the Hindus they sought to convert. Classical Hindu views regarding religious and other pluralisms during this point in history are kind to our comprehension, though over times this abandoned dialogue between the two faiths has been revived spuriously by the likes of Ram Mohan Roy to Ramakrishna and Vivekananda to Gandhi. Ziegenbalg was publicly critical of some members of the Brahmin caste, accusing them of disregard for lower castes in Hindu society. For that reason, at least one group plotted to kill him. This reaction by native Indians was unusual and Ziegenbalg's work did not generally encounter unfriendly crowds; his lectures and classes drawing considerable interest from locals. In 1708, a dispute over whether the illegitimate child of a Danish soldier and a non-Christian woman should be baptized and brought up as a Roman Catholic or a Protestant resulted in Heinrich Plütschau being brought before a court. Although Plütschau was released, Ziegenbalg wrote that "the Catholics rejoiced, that we were persecuted and they were authorized." He connected this incident, which he took to have emboldened the Catholics, directly with a second nearly two weeks later, which resulted in his imprisonment. This incident arose from Ziegenbalg’s intervention on behalf of the widow of a Tamil barber over a debt between her late husband and a Catholic who was employed by the Company as a translator. The commander of the Danish fort in Tranquebar, Hassius, regarded Ziegenbalg's repeated intervention in the case, including his advice that the widow kneel before him in the Danish church, as inappropriate and sent for Ziegenbalg to appear before him. When Ziegenbalg demurred, requesting a written summons, he was arrested and, because he refused to answer questions, imprisoned. Although released after a little more than four months, Ziegenbalg still had a difficult relationship with Hassius and that was one reason for Ziegenbalg's return to Europe in 1714-1716. Ziegenbalg was also married in 1716. 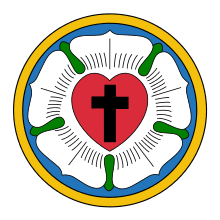 He was also active in cooperation with the Anglican Society for the Propagation of Christian Knowledge, making his work one of the first ecumenical ventures in the history of Protestant missionary work. Stephen Neill suggests, "As a missionary of the Danish crown, ordained in Denmark, Ziegenbalg felt himself bound by the liturgy and customs of the Danish church (…) Only in one respect does (he) seem to have made a concession to the fact that this new church was growing up in India; he made use of the presence in the Christian community of a measure of literary and musical talent to introduce the singing of Tamil lyrics to Indian melodies, in addition to using in church the growing collection of hymns which had been translated from German but in which the original metres and tunes had been preserved." 1) Translations: The 16th century saw the rise of Protestantism and an explosion of translations of the New (and Old) Testament into the vernacular. After all this time spent in blood-wrenching and sweat-drenching scholarship, Ziegenbalg wrote numerous texts in Tamil, for dissemination among Hindus. He was fully conscious of the importance of print in the history of the Protestant Church. He commenced his undertaking of translating the New Testament in 1708 and completed it in 1711, though printing was delayed till 1714, because of Ziegenbalg’s insistent, perfectionist revisions. Stephen Neill comments, "Only rarely has the first translation of Scripture in a new language been found acceptable. Ziegenbalg’s achievement was considerable; for the first time the entire New Testament had been made available in an Indian language. But from the start Ziegenbalg’s work was exposed to criticism on a variety of grounds" and that Johann Fabricius’ update on the pioneering text was so clearly superior, "before long the older version ceased to be used." It was obvious to Ziegenbalg that without a printing press all his effort would come to nought. Possibly as early as 1709 he requested a printing press from Denmark. The Danes forwarded the appeal to London to the Society for Promoting Christian Knowledge. The SPCK, not allowed a foothold in India by John Company's merchants, was only too eager to help and in 1712 shipped out to the Tranquebar Mission a printing press with type, paper, ink, and a printer. Ziegenbalg was also hindered by delays in the construction of a suitable Tamil typeface for his purposes. In a letter dated 7/4/1713 to George Lewis, the Anglican chaplain at Madras, and first printed, in Portuguese, on the press the mission had recently received from the Society for Promoting Christian Knowledge, Ziegenbalg writes: "We may remember on this Occasion, how much the Art of Printing contributed to the Manifestation of divine Truths, and the spreading of Books for that End, at the Time of the happy Reformation, which we read of in History, with Thanksgiving to Almighty God." Following this, he began translating the Old Testament, building "himself a little house in a quiet area away from the centre of the town, where he could pursue tranquilly what he regarded as the most important work of all. On 28 September 1714 he reports to Francke that the book Exodus has now been completed. At the time of his death he had continued the work up to the Book of Ruth." 2) Other Works: S. Muthiah in his fond remembrance ("The Legacy that Ziegenbalg left") ends with an inventory of the man’s lesser-known works: "Apart from the numerous Tamil translations of Christian publications he made, he wrote several books and booklets that could be described as being Indological in nature.He also had the press printing educational material of a more general nature. As early as 1708 he had compiled his Bibliothece Malabarke, listing the 161 Tamil books he had read and describing their content. In 1713, in Biblia Tamulica he expanded this bibliography. Also in 1713 the press produced what was perhaps the first Almanac to be printed in India. Then, in 1716, there appeared what was probably the first book printed in Asia in English, A Guide to the English Tongue, by Thomas Dyche. The next year the press printed an A.B.C. (in Portuguese) for schools in the English territories. What did not get printed in Tranquebar were Ziegenbalg's Indological writings. In fact, his works like Nidiwunpa (Malabari moral philosophy), Kondei Wenden (Malabari morals) Ulaga Nidi (Malabari civil justice), and his books on Hinduism and Islam were printed only 150-250 years later in Europe and Madras." Ziegenbalg was troubled by ill health his entire life, a condition aggravated by his work in the mission field. He died on 23 February 1719, at the age of thirty-six, in Tranquebar. His last 13 years were spent laying the foundations for German scholarship in Tamil that continues to this day. 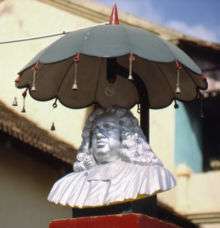 Ziegenbalg is buried at the New Jerusalem Church, which he helped establish in 1718 at Tranquebar. He faced many obstacles through his life’s work. In a letter to one Dr. Lutkens, Ziegenbalg sketches out humbly the zeal and diligence of his daily pursuits. On any given day, he could be engaged in more (if not as many) and as varied tasks as the study of Tamil to perchance conversation with a native poet, to repose and contemplation, to catechizing children of Lutheran catechisms, to maybe more study or exercises in piety. George Thos, Jr. asks, "Can it be surprising that a man thus piously and ardently engaged should be eminently successful? Or that he should too soon be exhausted by such incessant exertions?" The positive results of their labours came with challenges. Their work was opposed both by militant Hindus and by the local Danish authorities. In 1707/08, Ziegenbalg spent four months in prison on a charge that by converting the natives, he was encouraging rebellion. Along with the political opposition, he had to cope with the climatic conditions in India. Ziegenbalg wrote: "My skin was like a red cloth. The heat here is very great, especially during April, May and June, in which season the wind blows from the inland so strongly that it seems as if the heat comes straight out of the oven". For an account of his death, see Death-bed scenes: or, Dying with and without religion, designed to illustrate the truth and power of Christianity, Volume 43; Volume 651, Part I, Section II, chapter 28. Johann Phillip Fabricius picked up where Ziegenbalg left off in Bible translation, particularly Tamil Christian hymnody. He also felt that the previous translation by Ziegenbalg urgently needed emendations. "The four qualities which Fabricius found in the originals were lucidity, strength, brevity and appropriateness; these were sadly lacking in the existing Tamil translation, but he hoped that by the help of God he had been able to restore them." Both scholars can also be referred to as proto-linguists, both worked arduously on dictionaries and grammars in Tamil. Interesting semiotic and linguistic questions arise, when taking into consideration both gentlemen’s translations of the Bible. ↑ Gary Snyder, a Buddhist friend and part-time companion of Kerouac and some others from the Beat generation, who’d removed himself beyond theism, for instance, blamed the Bible and its anthropomorphic notion of creation for the earth’s mistreatment by humanity’s hand. ↑ All the presses were possessed by either the Church or the Portuguese. Zero was set up by Indians and no letters were printed for the rest of the country. ↑ "Ziegenbalg Leaving Tranquebar" (PDF). Chronicles of the London Missionary Society. 1890. Retrieved 2 November 2015. ↑ See, Halle and the beginning of Protestant Christianity in India : Christian mission in the Indian context, volumes 2-3 (edited by) Andreas Gross; Vincent Y. Kumaradoss; Heike Liebau and "Written sources on the Danish-Halle mission (in English and German)"
↑ Beyreuther, Erich (1955). Bartholomaeus Ziegenbalg. The Christian Literature Society. pp. 54–55. ↑ This letter was subsequently translated by Lewis, and printed at London in 1715, and reprinted in the expanded edition of the third part of the Propagation of the Gospel in the East in 1718, from where it is quoted here. ↑ "New Jerusalem Church rededicated" (Tamil Nadu). The Hindu. 10 July 2006. Retrieved 24 August 2015. ↑ Ziegenbalg began to learn write Tamil letters immediately after his arrival. The missionaries invited the local Tamil Pandit (teacher) to come and stay with them and to run his school from their house. Ziegenbalg would sit with the young children in this school on the floor and practice writing the letters in the sand, a very traditional practice that was in vogue even in early 1650s in Tamil Nadu villages. Following was an account of his hard work to master the Malabar (Tamil) language: From 7 to 8 a.m, he would repeat the vocabularies and phrases that he had previously learnt and written down. From 8 a.m. to 12 noon, he would read only Malabar language books which he had not previously read. He did this in the presence of an old poet and a writer who immediately wrote down all new words and expressions. The poet had to explain the text and in the case of linguistically complicated poetry, the poet put what had been read into colloquial language. At first, Ziegenbalg had also used the translator, namely, Aleppa, whom he later gave to one of his colleagues. Even while eating, he had someone read to him. From 3 to 5 p.m., he would read some more Tamil books. In the evening from 7 to 8 p.m, someone would read to him from Tamil literature in order to avoid strain on his eyes. He preferred authors whose style he could imitate in his own speaking and writing. ↑ "Johann Philipp Fabricius". Mission Manual. 15 April 2007. http://www.missionmanual.org/w/index.php?title=Johann_Philipp_Fabricius&printable=yes&printable=yes. Werner Raupp (1998). "Ziegenbalg, Bartholomäus". In Bautz, Traugott. Biographisch-Bibliographisches Kirchenlexikon (BBKL) (in German). 14. Herzberg: Bautz. cols. 452–461. ISBN 3-88309-073-5. Urs App. The Birth of Orientalism. Philadelphia: University of Pennsylvania Press, 2010 (ISBN 978-0-8122-4261-4) contains a 55-page chapter (pp. 77–132) on Ziegenbalg and Mathurin Veyssière de La Croze and their role in the European discovery of Hinduism and Buddhism. "Written sources on the Danish-Halle mission (in English and German)"